Blog | Keeping you up to date with all things Rare Spares. At the Detroit Auto Show earlier this month speculation was rife that Ford Motor Company had a special release up their sleeves. 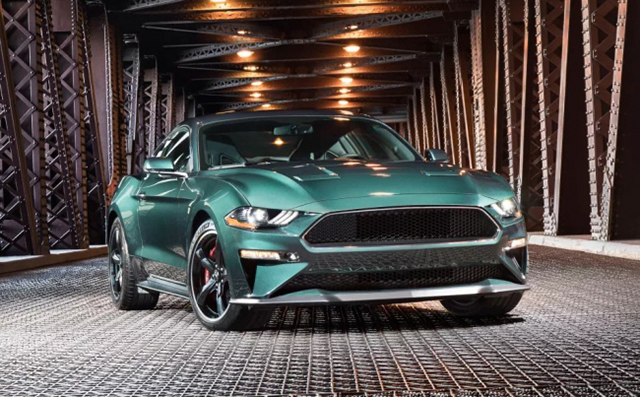 While there were a few murmurings of a special edition Mustang on its way, the huge crowd was still a gasp when the covers were pulled off a Dark Highland Green 50th Anniversary Bullitt Edition Mustang. The attractive coupe of course pays homage to the ’68 Mustang Fastback driven by Steve McQueen in the 1968 classic film “Bullitt”, which features a car chase that will forever be remembered as one of the greatest in film history. While the Bullitt is definitely quite the looker thanks to its unique wheels, de-badged grille, cue ball shifter and Recaro seats - the real gains come under the hood. With a bigger radiator, larger throttle bodies, a GT350 intake manifold and open air filter element the Bullitt will produce an impressive 354kw (475hp) off the showroom floor, an increase of 15hp over the premium GT offering on the regular 2018 Mustang. Handling is kept under control by Brembo six-piston front brakes, a larger anti-roll bar and a Torsen LSD, meaning that the coupe will certainly have no issues in getting from ‘0 to the speed limit’ in a flash. If the classic Dark Highland Green isn’t to your liking the car will also have the option of coming in Shadow Black, with both colours receiving a special Bullitt rear badge to let others know that this isn’t just a regular Mustang. In a throwback to ‘the good old days’ the Ford special will come in manual only and set customers back somewhere between $US45,000 and $55,000, however the first edition has already been sold at a heavily inflated price. Build no.1 was sold at auction in Arizona for an incredible $US300,000, with one hundred percent of that figure going to charity – Steve McQueen’s former school for troubled youths. This year’s 50th anniversary edition isn’t the first Bullitt edition Mustang released, with the option first available in 2001 when 5,500 were produced with a host of features not included on the regular GT. The concept was revisited in 2008, with a $US3,300 upgrade package offered to the standard GT Premium. Now to the question many of you will be asking, will we see this car on Australian shores? Unfortunately no plans have been announced for the export of the special pony car. Ford hasn’t exactly rushed to bring any of the Mustang’s other premium offerings such as the GT350 over here either. Although with the Mustang already Australia’s hottest selling sports car, and the relative ease of RHD conversion, hopefully a premium edition Mustang isn’t just a pipedream. What are your thoughts on the new Bullitt Mustang? Does it live up to the “Bullitt” name? Head over to the Rare Spares Facebook page and let us know in the comments section below. Thinking of importing a much loved car (or motorcycle) from overseas? It might be worth taking a bit of time to weigh up the risks associated with such an investment before pulling the trigger. In 2017 Australian Border Force intercepted roughly 50 cars and motorcycles that contained traces of the potentially toxic substance, asbestos. Among those a host of classics, including a Jaguar E-Type, a Shelby GT350 Mustang, a Rolls Royce and a Bentley S3. While the cost of importing these classic cars in the first place is hardly a cheap affair, the real costs begin to add up once asbestos has been found. In Australia, since 2003 a total ban has been placed on the toxic substance and individual importers face fines of up to $3000 per offence. Removal of the asbestos effected parts is then the sole responsibility of the individual with costs for some reportedly blowing out to north of $20,000! The most common affected areas are brake pads, clutch linings and gaskets on specifically older makes and models of cars and motorcycles, so your new Right Hand Drive converted F150 Raptor is unlikely to face any issues. Imports are chosen at random for in depth asbestos testing, with microscopic analysis performed by an occupational hygienist. 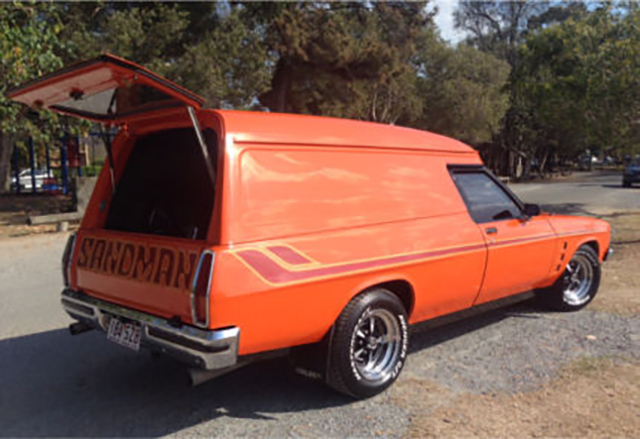 Australian Authorities are suggesting a thorough inspection of the vehicle before it leaves its country of origin to ensure nothing makes it through to Australian shores where it is almost certain to catch the attention of customs. So do your research on asbestos and save yourself a heap of time, effort and money before you import a classic car from overseas. Do you have your eye on an international classic? Or do you have your own import horror story to report? Head over to the Rare Spares Facebook page and let us know in the comments section below. Summernats 31 came to an end after four days of tyre shredding action in Canberra on Sunday 7th January. A huge success, this year’s Summernats drew in an incredible crowd of 105,000 and a total of 2,105 vehicle entrants – one of the festivals greatest turnouts in its long and illustrious history. “We saw fantastic cars, fantastic behaviour, a great program of events and despite the extreme weather that we have experienced here, our health and safety team worked diligently to make sure our all of our patrons came and went home safely,” said Summernats co-owner Andy Lopez. The most prestigious award at Summernats is the Grand Champion and for 2018 the honour was awarded to Grant Connor and his spectacular maroon coloured 1967 Ford Falcon, impressing the judges for its near perfection in all areas of design and performance. For owner Grant, it was a special moment. For Rare Spares, the event was a huge weekend and a massive success! Offering 20% of all orders placed and paid for at the stand, the Rare Spares Traders Pavilion was abuzz with punters for the duration of the four days. 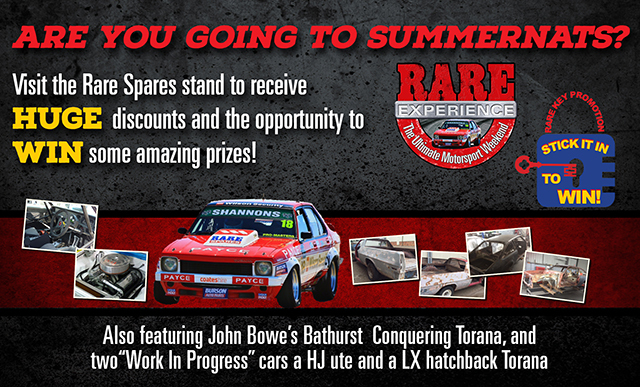 Headlining promotions for Rare Spares at the event was our ‘Rare Experience’ promotion, which will give winners the ultimate motorsport weekend at the 2018 Adelaide 500 in March! To enter, patrons were given a key by the Rare Spares girls at gate 7, which was to be taken to the Rare Spares pavilion where the keys could be entered into a lock. If the key unlocked the lock, then the patron was awarded a prize. The lucky winner of the Rare Experience was D.Clark from South Australia, who can’t wait for their ‘money can’t buy’ experience. Once again proving itself as the nation’s best automotive festival, Summernats will return in early 2019 for the 32nd time, and at Rare Spares, we’re already counting down the days! Were you at Summernats 31? We’d love to hear your stories, head over to the Rare Spares Facebook page and let us know about your Summernats in the comments section below. Rare Spares will see you at Summernats! In the coming weeks, Rare Spares will join tens of thousands of punters in making the annual pilgrimage to Summernats. Undoubtedly Australia’s biggest celebration of all things horsepower, Summernats returns on January 4-7 for the 31st time. At the event, Rare Spares will be running a number of sales and promotions where you could WIN big! Visit the Rare Spares girls at gate 7 to grab your very own ‘Rare Key’**, by doing so you will be going into the draw to win some truly awesome prizes including platinum passes to Summernats 32, Street Machine magazine subscriptions, Meguiar’s car detailing packs, Rare Spares gift vouchers and much, much more! To find out if you’ve been successful, make your way over to the Rare Spares stand in the Rare Spares Traders Pavilion to see whether your key fits in our prize barrel. Your odds stand at an impressive 1 in 10 chance of taking home some goodies, so don’t miss out! To celebrate our favourite time of the year, Rare Spares have decided to take 20% off* all orders placed and paid for at the Rare Spares stand during the event period! But wait it doesn’t finish there! When you swing by the stand you can enter your details to go in the running to win the ultimate motorsport weekend via ‘Rare Experience’. The winner will receive flights, accommodation and tickets to the opening round of the 2018 Supercars Championship at the Adelaide 500 in March! Along with appearances by John Bowe and Gary O’Brien as well as display cars including Bowe’s TCM race winning Torana and a number of ‘work-in-progress’ cars; the Rare Spares stand is the place to be at Summernats 31!! Summernats is must-see for car enthusiasts and an experience you’ll never forget, so don’t miss out on the event of a lifetime! 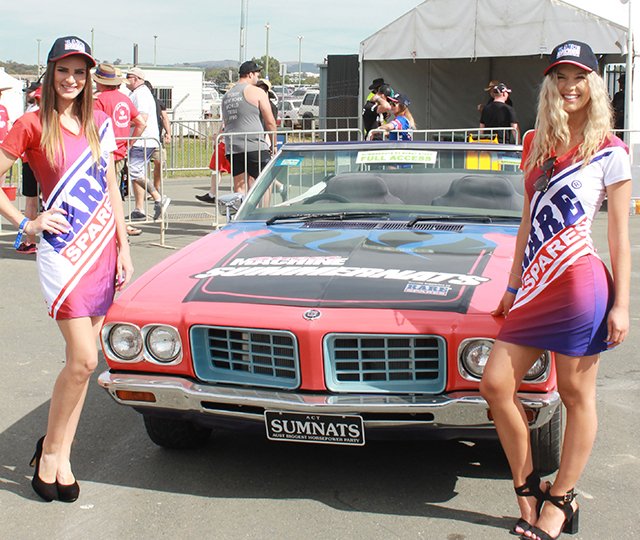 What are your favourite Summernats memories? Head over to the Rare Spares Facebook page and let us know in the comments section below.